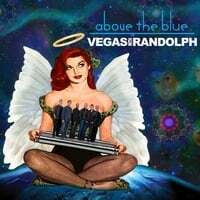 Vegas With Randolph-Above the Blue. This Washington, DC band lets no moss grow under their feet - after they released their self-titled debut in 2009, they've issued a series of singles, and here they're collected on Above the Blue. If you missed them the first time around, the singles are really good: "The Better Part" is a punchy pop-rocker, the title track is Secret Powers-styled power pop, and "Some Time to Love" is very reminiscent of Fountains of Wayne. What they add to the singles collection is another of their "song suites", this time called "Double Play". Going from horn-based rave-up to acoustic interlude to straight-up power pop, Vegas With Randolph remain masters of the medley, and the Abbey Road-style album experience is not to be dismissed in the era of the iPod. 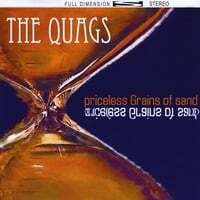 The Quags-Priceless Grains of Sand. It's great to have this Oregon band back for the first time since 2005's Devil's Music. The Quags are on the Paisley Pop label and for those unfamiliar it means classic rock-infused power pop, in this case reminiscent of bands like The Kinks and The Figgs. The opening 1-2 of "Human Thing" and "Favorite Parasite" drive this comparison home, and the laidback "Beautifully Insane" is another treat. Elsewhere, "It Takes Heart" is a Rockpile-styled delight, "Going Through the Convulsions" rocks out, and "Do Yourself a Mischief" closes things on a wonderfully jangly note with a hint of The Who. Here's hoping we won't have to wait six years for the next one. Thanks for the tip on the Quags - it's going on the buy list. "Do Yourself a Mischief" is the cut that totally sold me - sounds like a beat band Game Theory. Really dig your blogs and reviews - you've had a positive effect on my buying habits. Really digging the Longplayer, which I also discovered via you. Thanks again. New Well Wishers on the way.